Sew Dixie Lou. : She's only bloody giving it away! She's only bloody giving it away! I'm pretty excited about this post as I am announcing my first ever giveaway. Raise yo hands! To celebrate reaching 500 followers on Twitter, I thought I'd put together a cool loot to giveaway to one lucky reader of Sew Dixie Lou. To help me out, the brilliant folk at Minerva Crafts have kindly donated a huge bundle of fabric, and when I say huge, I really mean HUGE. Take a look at this booty! Love this trio of stretchy goodness! And, that's not all! As a gift from me, I have bought an extra copy of this book to add to the fabric bundle. I own this myself, but I have used it so many times and find it invaluable. The pictures are super helpful and it's a great resource for all sewers looking to perfect the fit of their makes. So, you'll not only be receiving the fabric stash but also a brand new copy of this too, signed by me (kidding!). 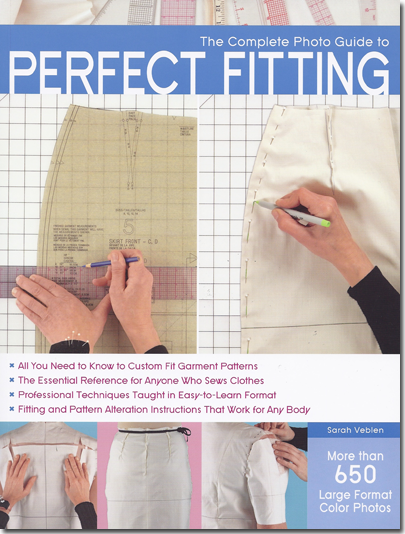 The Complete Photo Guide to Pattern Fitting is a comprehensive how-to book about altering commercial patterns to customize the fit to one’s own body before cutting out fabric and sewing the garment. Poor fit is the number one reason many sewers get discouraged with garment sewing. Author Sarah Veblen guides the reader through the steps of sewing a muslin test garment, fine-tuning the fit by pinning the garment to mold perfectly to the wearer’s body, marking the adjustments, and then transferring those alterations to the commercial pattern. Veblen had developed this method during her career as a professional sewer and teacher and it is far more comprehensive and accurate than quick-fix flat-pattern methods in which patterns are altered using only a few body measurements. The results produce a perfectly fitting garment every time. Unfortunately, as you can imagine the fabric and book are going to be a monster to post and so I can only offer it to UK dwellers. However, fear not my pretties overseas, also included in the Minerva Crafts stash was some gorgeous Christmas fat quarters and the prettiest reels of thread I have ever seen. I have decided to separate these from the main bundle and create a separate little prize stash for you guys abroad. Neglect has no place here, we've got to share the love! Not a tin of mints, but a tin of thread! Gorgeous. So for those in the UK, you can win a whopping 13 pieces of fabric as well as a brand new copy of The Complete Photo Guide to Pattern Fitting. And, if you're outside Blighty, you can win 4 Christmas fat quarters, 5 reels of machine embroidery/quilting thread and a gorgeous Gutermann tin that includes 4 reels of polyester thread (navy, black, red and white). Okay, Clare, we get the picture, how do we get our hands on this goodness? Right, there's just a few things you need to do in order to enter this giveaway. Could you also please remember to tell me your country location so that I know what to enter you for. The deadline to enter is 22nd November! Good luck everyone and big thanks to Vicki at Minerva for helping me to arrange this as well as sending such a cool stash of fabric and thread to giveaway.